I feel like it's been ages since I made muffins, I'm definitely a muffin person, sometimes when you need a pick me up or a quick breakfast, a muffin is the answer! A couple of years ago I discovered the wonder that is chai! 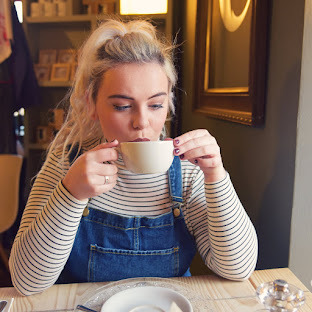 I'm still obsessed with it, regular chai tea, chai tea lattes, anything chai flavoured and I'm there. With it being an Indian spice mix, it's not for everyone, but I absolutely love it! 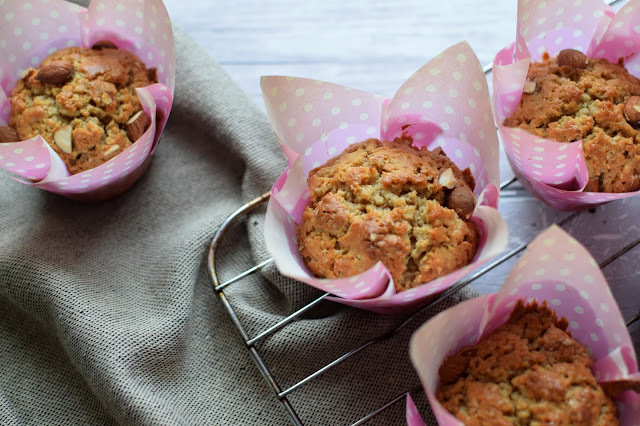 These muffins are definitely on the skinny side which is always handy! They're super quick and easy to make. 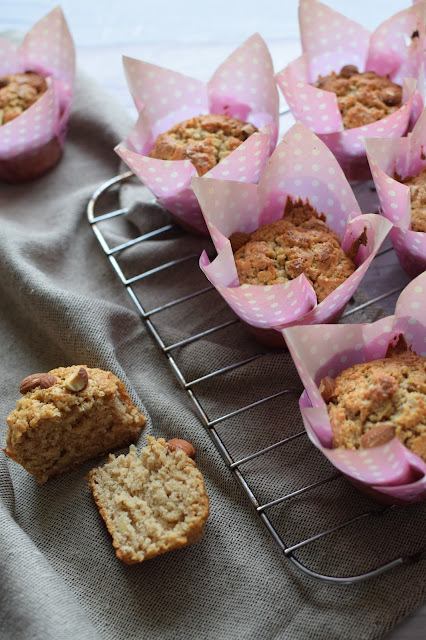 I really like the subtle taste the muffins have, the almonds add a nice crunch and the cake texture isn't heavy. Also how sweet are the little pink muffin cases! 1. Warm the milk with the contents of the 2 teabags and cinnamon in a pan, stirring to mix then leave to cool. 2. While the milk’s cooling, preheat the oven to 200C/180C Fan/Gas 6 and line a 12-hole muffin tin with paper cases. 3. In a large bowl, measure out the flour, baking powder, sugar and all but 2 tablespoons of the chopped almonds, and combine well. 4. When the milk has cooled, add the eggs and oil, then whisk well. 5. Add the liquid ingredients to the dry ingredients, using a wooden spoon mix well. 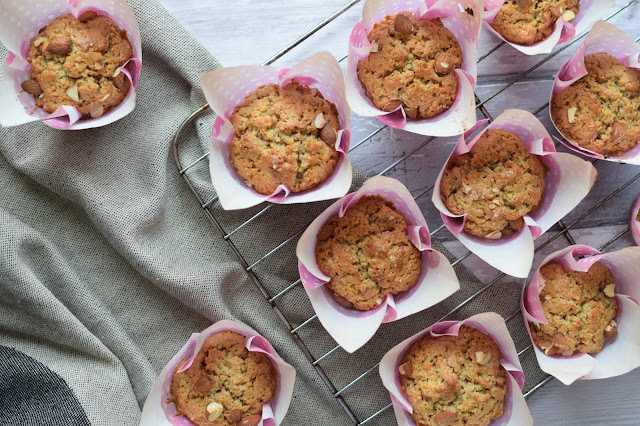 Divide the mixture between the muffin cases, then sprinkle equally with the remaining almonds and bake for 20–25 minutes, or until a skewer comes out clean and the muffins are risen and golden-brown on top. 6. Remove to a wire rack to cool for about 10 minutes and enjoy! These look so yummy - one to try!